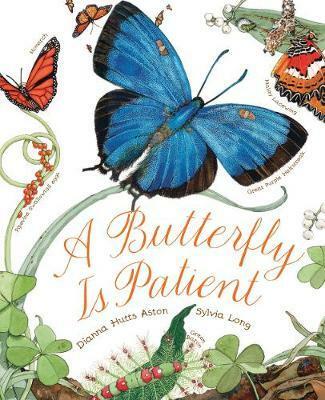 From the creators of the award-winning An Egg Is Quiet, A Seed Is Sleepy and A Rock Is Lively comes this gorgeous and informative introduction to the world of butterflies. An incredible variety of butterflies are celebrated here in all of their beauty and wonder, from the tiny Arian Small Blue to the grand Queen Alexandra's Birdwing. Perfect for a child's bedroom bookshelf or for the classroom! Dianna Hutts Aston is the author of many bestselling books for children. She is also the founder of The Oz Project, a nonprofit foundation which provides inspirational hot air balloon experiences to disadvantaged children. Sylvia Long is the award-wining illustrator of many bestselling books for children. Her detailed paintings are inspired by her love of animals and the outdoors. She lives in Scottsdale, Arizona, with her husband and their dogs, Jackson and Truman.